Corie of Its My Taste is truly a woman with style. 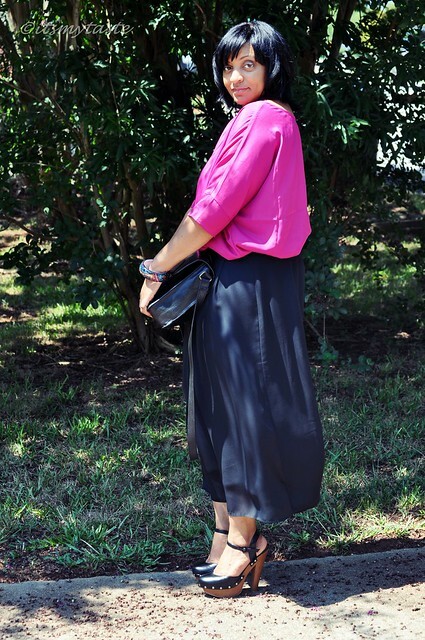 What I love most about Corie's style is it's effortless! She has a knack for spicing up casual outfits in ways that I would have never thought of! Corie manages to give us great look after great look, whether it be playful, sophisticated, casual or professional Corie definitely has mastered her style and taste and I love it! I'm sure you'll agree and be inspired, see for yourself! When I moved to Atlanta from Milwaukee; leaving my family and friends behind, I started a monthly newsletter. The newsletter documented everything going on with my daughter and I in a new city. It was well received. It was also time consuming and pricey. Around 2008 is when I discovered 'blogs'. There were lifestyle blogs, photography blogs, fashion blogs and so much more. In late 2009 I decided to start my own blog. What started off as more of a lifestyle blog...somehow turned into a fashion blog. It became a hobby. Corie's daughter Asiah blogs too! Check out her blog Black Pearls here. Since we're in Fall, I would have to say you can't go wrong with having a cozy pullover sweater; I'm in love with all of the sweaters at Old Navy right now. 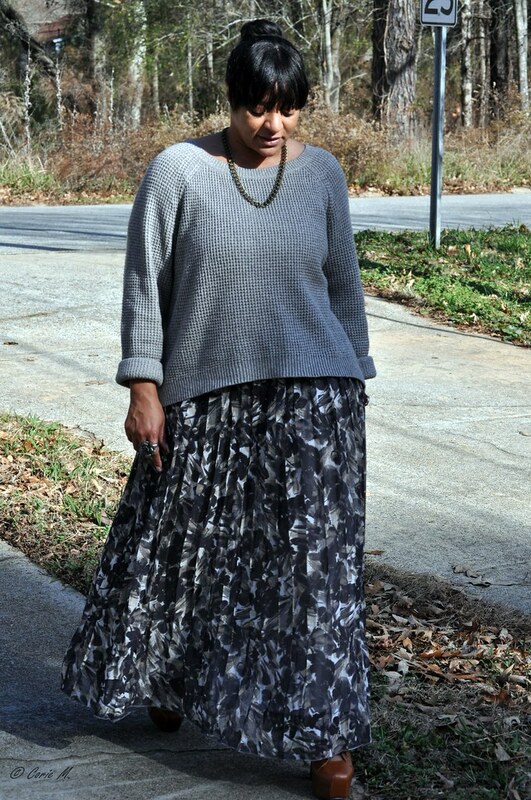 Also, midi skirts are what's in; I purchased quite a few that I haven't worn just yet, but you'll be seeing them very soon. Let's not forget tights; I stocked up on these. I have just about every color and texture you can think of, can't wait to pair them with something awesome. Overall...a LBD is a must have, along with a black blazer (definitely a key item in my wardrobe), and a classic trench coat. I tend to wear what I like....or what fits my mood, regardless of whether it suits my usual aesthetic. I like comfortable, feminine, stylish, and fresh pieces. Comfy is my motto. If I don't feel comfortable in it, I'm not wearing it. It's challenging, it's stimulating, and fun. I've met some awesome people in the blogosphere. I've joined some wonderful communities, and can honestly say that I really enjoy the creativity they foster. I've get so much inspiration from bloggers everywhere....I only wish I'd started blogging sooner. Aren't they both gorgeous?! 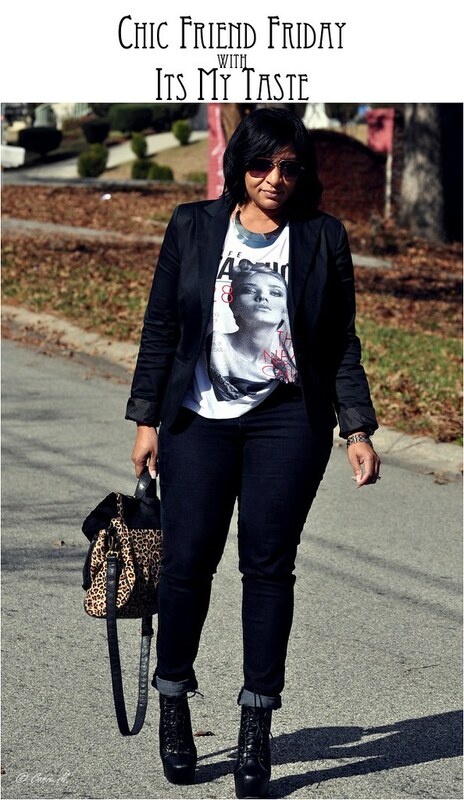 Thanks again Corie for being a part of Chic Friend Fridays! You're sure to be inspired by Corie and her beautiful daughter Asiah who is a pretty amazing model by the way. Find Corie's blog here and Asiah's blog here.